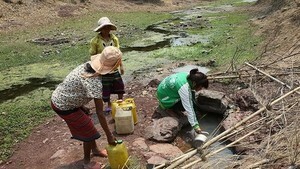 Nutritionists fretted that micro-nutrient deficiencies have been hampering Vietnamese children growth. According to the National Institute of Nutrition, the country is facing high rate of stunted children; of four Vietnamese children under five one suffer underweight. Moreover, Vietnamese adults are shorter than their peers in the developed countries in in Southeast Asian region. Ms. Nguyen Thi Thu Trang, 32 , in Thu Duc District, spends her whole day thinking food for her baby; however, it seems that her efforts have been unrewarded as her five-year-old kid weighs around 14 kilogram and shorter than his classmates. Dr. Phan Thi Hien Thu from the Ho Chi Minh City Nutrition Center pointed out kids’ portions deficient in necessary vitamin and minerals for kids’ growth in five first years resulted in malnutrition. 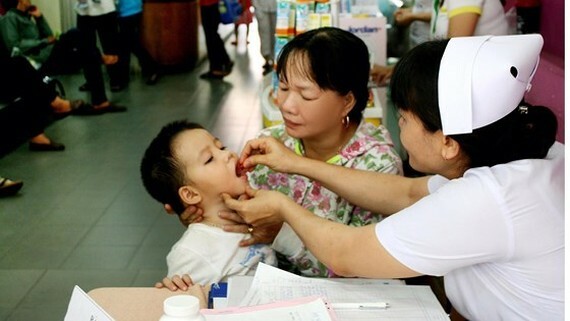 As per the health sector’s statistic, Vietnamese children don't get enough vitamins and their meal just meet 60.3 percent of calcium need and 10.6 percent of vitamin following the health sector’s recommendation that all children aged 6 months to 5 years are given vitamin supplements containing vitamins A, C and D every day. Worse, some parents have no knowledge of feeding their babies so children’s digestive system is infected. Diets lacking in nutrients is culprit of children malnutrition, said Dr. Thu. Specifically, diets lacking energetic protein and micronutrients not only cause malnutrition but also hamper children’s growth, said Dr. Thu. The National Institute of Nutrition’s report has shown that height is also influenced not only by genetic inheritance but also environmental factors, including the nutritional status of the mother during pregnancy, whether she smoked, and her exposure to hazardous substances. Specifically, genetics determines 23 percent of children’s height while psychology and living environment decide 25 percent of children’s height, exercise and nutrition determine 20 percent and 32 percent of a child’s height. Professor Le Danh Tuyen, Director of the National Institute of Nutrition, advised pregnant women should take iron supplement during their pregnancy. Parents should take their children to medical institution for taking vitamin A because Vitamin A deficiency is associated with poor growth and reproduction, and suppression of the immune system. Statistically, the malnutrition of city dwellers is lowest in the country with the rate of underweight children under five being 4.4 percent and stunt 6.8 percent while it is 14.1 percent and 24.6 percent nationwide.